Available today, the ACAPS CrisisAlert app is a new way for humanitarian actors to get notified immediately on the most pressing crises worldwide. Is there a new influx of IDPs? How many people have been affected by cholera? How severe is the crisis in Nigeria? By personalising your settings, users can be alerted on more than 40 key crisis countries as soon as the humanitarian situation changes. "Humanitarians make life-saving decisions. But in a complex, fast-moving situation, it's hard to get a clear picture. The new CrisisAlert app helps you see the crisis and understand the needs immediately", said Lars Peter Nissen, ACAPS Director. The ACAPS CrisisAlert app provides severity ranking according to three categories of crisis: severe humanitarian crisis, humanitarian crisis, and situation of concern. It helps to obtain a quick up-to-date picture by presenting the latest figures and key priorities within an in-depth overview of the countries you chose to follow. As a user of the new CrisisAlert app, you can also access other ACAPS resources for each humanitarian crisis, such as sectoral crisis analysis and special reports. 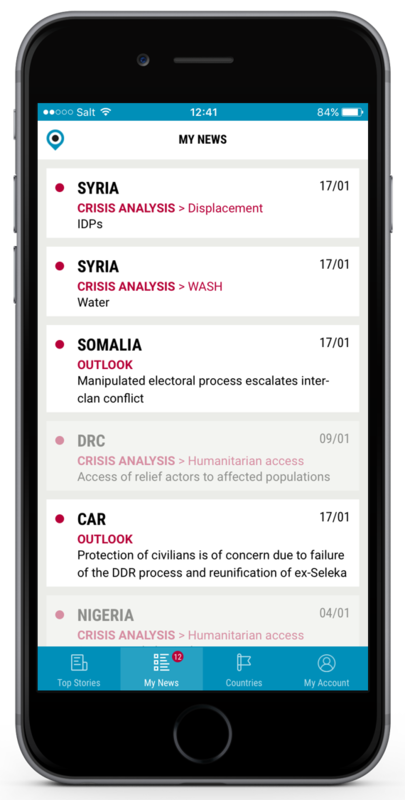 "With its accessible round-up of information and analysis, the new ACAPS CrisisAlert app enables the humanitarian community to plan better responses for the affected population", said Jan Egeland, Secretary General of the Norwegian Refugee Council (NRC). Personalised settings: choose countries of interest. Notification system: receive notifications as soon as the humanitarian situation changes. Offline option: Constant access to your countries' updates, even in remote areas or on the plane to the next crisis! 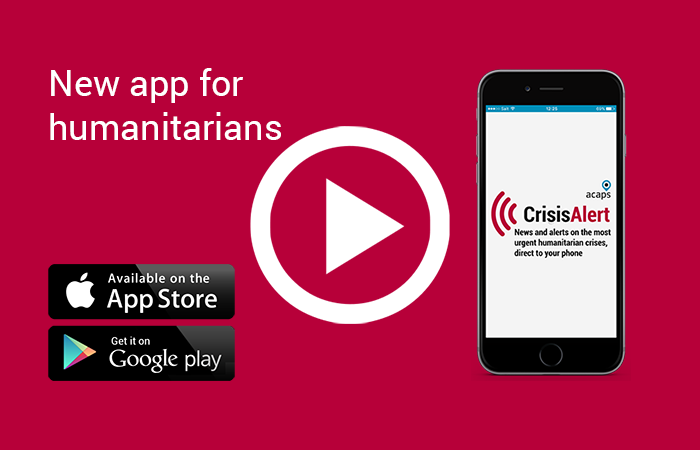 Download the new ACAPS CrisisAlert app for: Android or IOS.